The war is over, but that doesn’t mean things are getting better. For PR man Wayne Ogden or any of the returning vets. The town of Wichita, Kansas—built around the industry of Collins Aircraft and its wealthy founder, Everett Collins—is not how they remember it. Against the background violence committed by the returning soldiers trying to make an adjustment back into civilian life, Wayne attempts to destroy his former mentor and take down Collins Aircraft—the once fabled company that provided planes to Amelia Earhart, Charles Lindbergh, and Wiley Post. All along the way he is haunted by poison pen letters, anonymously sent, that carry threats alluding to his black market work as a supply sergeant in the Quartermaster Corps. As the letters reveal more and more of Wayne’s secretive wartime past, his plan to destroy Collins and his company takes an increasingly darker turn that leads to blackmail, extortion, and murder. 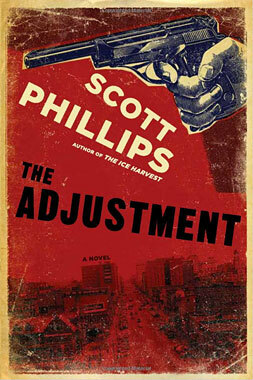 Phillips expertly crafts an instant noir classic that presents the birth of a postwar American criminal.